As far as culture is concerned Poznań has an enormous amount to offer. There are theatres and concert halls with the Poznań Philharmonic, The Great Theatre, and Polish Theatre to the fore. Events, concerts, exhibitions, and festivals are all organised by the Castle Cutural Centre which covers Poznań and Estrada Poznańska. Other festivals include the Duende International Flamenco Festival, Animator and Malta Festival. If that doesn't puff you out, try the marathon - the biggest in the country. 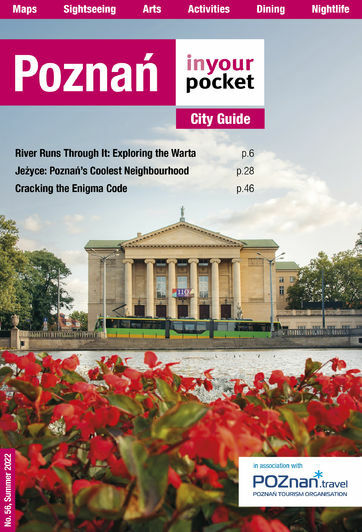 To see exactly what's on in Poznań, check out our events calendar. The aim of the gallery, owned by Grażyna Kulczyk, is popularising art and making it more accessible to society, and why not? Poznań's only IMAX theatre, north of the city centre. A modern cineplex screening all the latest blockbusters. Also at ul. Półwiejska 42 (Stary Browar).